Fred Plaas grew up near Red Wing, MN in the small and beautiful Mississippi bluff area of Wacouta Township. He was in the middle of 3 children and from an early age he loved the outdoors and sports. During high school at Red Wing, Fred excelled at Football, Basketball and Tennis. After graduation Fred went to SW Minnesota Vocational School in Jackson, MN for their plumbing program. Upon finishing his plumbing degree, Fred came back to Red Wing and interned with Skit Goyer Plumbing and Heating. 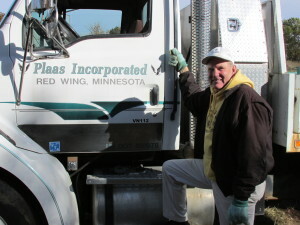 After 2 plus years interning with Goyer, Fred decided to venture out on his own and in 1974 Plaas Incorporated was born. Within a year he had his master plumber’s license and was quickly growing his business. Fred also got busy raising a family. Fred married fellow Red Wing grad Beckie in June 1977 and together they raised 4 children; Allecia, McCabe, Taite, and Kailen. Today, in addition to wife Beckie, Fred is proud to have two sons (Taite and Kailen) join him in managing the Plaas business. Early in his company’s history, Fred found opportunities beyond residential plumbing. It began with an offer to do mechanical contracting work for a turnaround at Durkee-Atwood in Red Wing. As was required, Fred hired union staff for this job and also used union staff for a later contract he got at the ADM plant in Red Wing. Eventually the Union requirement was lifted at ADM and Fred’s merit shop staff has been on-site at ADM ever since (38 years and counting). Also, Fred is proud of the company’s participation in the Boise Cascade Paper Plant project (International Falls, MN) which at the time was the largest merit shop contract in the State of Minnesota and for the High Pressure Piping work done at the MN Corn Processors Plant in Marshall, MN. In addition to being a Master Plumber in MN and WI Fred also has earned a Master Steam Fitter License for MN and also earned other field licenses. Fred is a Christian and ready anytime to share the good word. Born again in 1994, Fred believes that his Christian beliefs and lifestyle are a good example for his family, staff and customers. Fred, his family and a dedicated staff have helped build Plaas Incorporated into a respected leader for both Industrial Services and Plumbing and Heating. Much like Fred himself, Plaas Incorporated offers fair and honest solutions for a wide variety of customers. After 40 years of service, Fred is still one of the first to arrive and last to leave the Red Wing headquarters. He enjoys being active and involved with the jobs, solving plumbing and piping issues and making sure the customer is always satisfied. 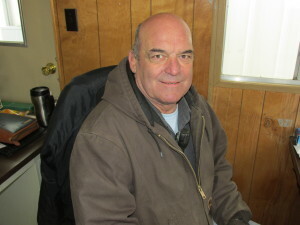 In his off time Fred enjoys golf, boating and spending quality time with his 4 grandchildren. Tim Davis is a steady, even keeled employee who leads by example. His calm leadership style has been with Plaas for 15 years. After growing up in Lewistown, Illinois, Tim attended Pipe Welding School and then got right to work. He spent a few years as a pipe welder and pipe fitter before moving into supervision. For the past 15 years as a Plaas employee, Tim has seen many different projects all across the nation. Tim has worked at; refineries, chemical plants, food grade plants, pharmaceutical plants, process plants, ethanol plants and more. In addition to operating, welding, pipe fitting, and supervision, Tim has set conveyors, tanks, vessels, boilers, pumps and more. Tim prefers site supervision to working with his tools. “I like sharing my experiences I have learned over the years and I like being able to control the quality of our work. I enjoy most of the challenges supervision brings and am proud of the work we are able to accomplish.” In addition to his welding certification, Tim has completed both the OSHA 10 Hour and OSHA 30 Hour courses. He holds an HPP steam license (for MN), a TWIC card and has also received his NCCCO Certification. Tim also likes the benefits of working for a smaller company like Plaas. “Here you are more than just a name and a number. It is more personal and I like that.” In his spare time Tim enjoys swimming, biking and other outdoor activities. Paul Katzenberger’s father was a mechanic, millwright and welder and traveled from project to project. Paul was born in Inglewood, CA when his parents were passing though LA to another job site and his 6 siblings (3 brothers and 3 sisters) were all born in different States (except the twins). The family eventually settled in Pengilly, MN on the Iron Range. Paul’s dad had the boys working early at his saw mill and trucking business called L Katz and Sons. The boys were welding and taking engines apart at an early age. By 5th grade Paul had his first outside job working for a local garage. Between these two jobs Paul had little time for extracurricular activities but did become a good boxer in high school and also later boxed in the military. In 1976, during his time in the military (Marines), Paul met and married a native Philippine woman named Lily and she has been at his side ever since. After the Marines, Paul returned to Northern MN to help his father run the family mechanical services business. In 1989, while the Plaas team was in International Falls working at the ground-up build of the Boise Cascade Paper Plant, a Plaas Superintendent sought out Paul for some machine repairs. 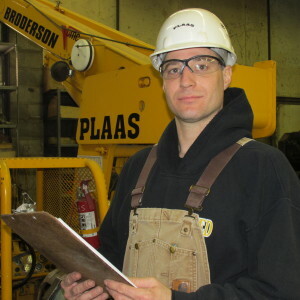 The speed and precision that Paul did that first job, led to more work fixing Plaas machinery and eventually Paul was hired by Plaas to work at the Boise Cascade project. Paul spent the next 18 years with Plaas doing and leading a variety of projects including Consolidated Barge and Grain at Mt. Vernon, IN, then directing the six year Cargill Blair, NE project that involved 6 different plants. From there Paul was very proud of his efforts in Clovis, NM where he led a Plaas team in the ground-up build of (at that time) the country’s largest dairy operation . Then Paul was off to Lemoore, CA. to do an expansion on another dairy plant. Later, Paul managed a #100 man Plaas crew working a cogen project at ADM in Clinton IA. Paul recently led our 30+ man crew in the retrofit of the Buffalo Lake, MN Advanced Biofuels facility. In March of 1979 Paul and Lily had a son Phillip who currently lives in Farmington, MN. One of Paul’s favorite off-work activities is spending time with his 3 grandchildren (10, 8 & 2). Retirement is not on the radar for Paul and Lily as he loves what he does and is quite good at it. Plaas is blessed to have a talented and fair Project Manager like Paul and appreciates the many years of dedicated service he has given Plaas and its customers.